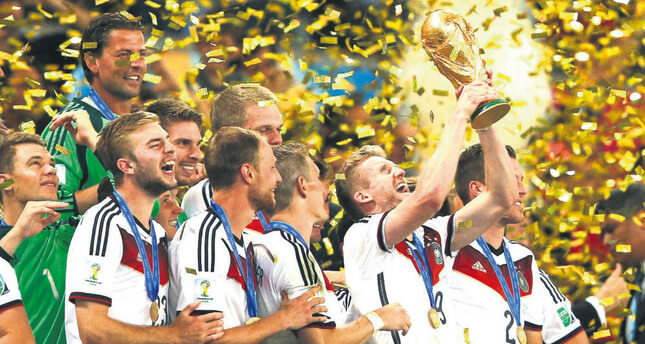 FIFA says more than 1 billion people watched the 2014 World Cup final. A total of 1.013 billion saw at least one minute of Germany's 1-0 win over Argentina in extra time at Maracana Stadium in Rio de Janeiro, according to research by FIFA and Kantar Media published Wednesday. Televisions viewers at home, people watching in public spaces and online are counted. FIFA reports a seven percent rise in a TV rating that is often seen as the industry's most accurate. The 2014 final had an "average in-home global audience" of 570.1 million. It was 530.9 million for the 2010 World Cup final. FIFA says 3.2 billion people watched at least one minute of one of the 64 matches. The total was the same in 2010.